The antenatal classes at Sitaram Bhartia educate women about the entire journey of pregnancy and delivery and empower them to have a positive birth experience. Our classes are also an opportunity for you to meet with other expecting couples just like yourself in a comfortable and interactive space. Through a series of four antenatal classes, pregnant couples at Sitaram Bhartia learn how to manage their pregnancy, prepare for their delivery and how to manage early parenthood. You’ll receive expert guidance from our gynaecologists, physiotherapists, women’s health educators and diet counselors. We invite you to browse through our classes listed below and register for sessions to better prepare for your pregnancy. Learn about what changes to expect from your pregnancy, how to manage your fitness and how to follow a healthy diet. 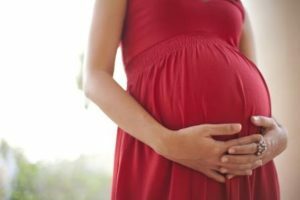 Learn how to recognise the signs of labour, when to leave for the hospital and how to use relaxation techniques to manage labour pain. With this class, we’ll help you understand how to manage the first few days after your baby’s birth along with tips for breastfeeding and baby care.